I have always enjoyed watches/time pieces since I was a kid. I've been fortunate enough to have owned some fine examples. I recently sold a couple of them due to not getting enough wrist time. Plus they were so pricey I was hesitant to wear them out. I have gotten into more of the boutique brands (Doxa, Steinhart, Sinn and custom Seikos to name a few) and have been enjoying a revival of this hobby. Any body else into watches? Last edited by Charlief; 06-14-11 at 05:02 AM. I like watches. I usually go for the looks over name or price. I do however like Baum and Mercier (not that I have one). I have a limited edition pocket watch my FIL gave me for my wedding which is old school wind up with the glass casing so you can see all the components in operation. I don't use it, but it is pretty nice to "watch" and see all the finely machined parts moving in synch. I love watches but I do not and will not spend much money on them. 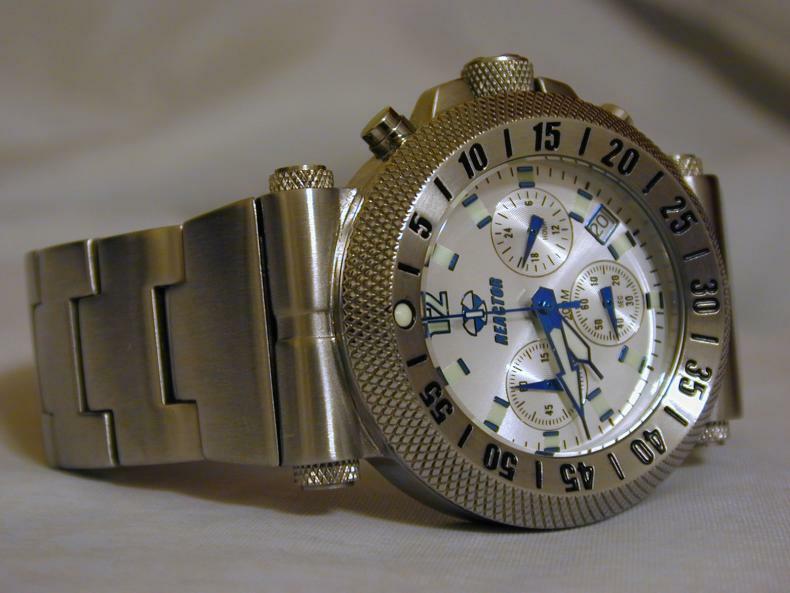 Most of the time I will buy a watch that appeals to me to mark an occasion. My collection includes my grandfather's tank watch and a few that my Dad owned. I doubt that any of them are worth much more than sentimental value. I have a few pocket watches as well. I always admire some of the strange designs people come up with but at these prices I'd never buy something like this. I like digital watches too. This is a cool site. One of these days, I will take the case of a pocket watch and build an MP3 player inside. I'll probably do it this coming winter since that is when I have more time inside. I'll have to hunt around for a suitable pocket watch to gut. I want to visit the watch museum in Waltham, MA. I just haven't had the time. Last edited by gadget; 06-14-11 at 08:16 AM. I've got a nice little Seiko collection going. I've always been a fan of them as they are incredibly reliable, look great and are priced well for the quality. One day I would love to own this. In my opinion this company makes the nicest looking watches out there in terms of mixing contemporary with classic design. That orange monster is sweet! I have a black one. 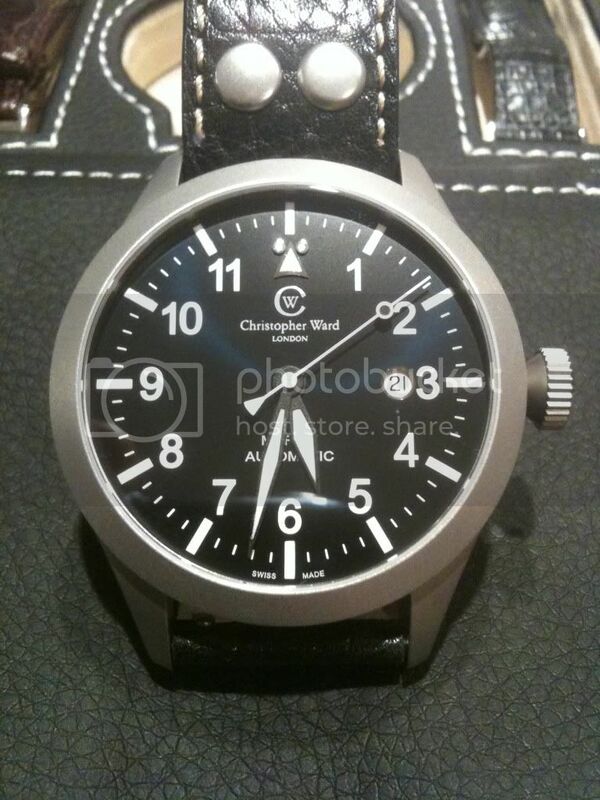 I'm waiting for my Christopher Ward dive watch to come in. This is a sweet little company. English owned but the watches are made in Swiss'land. Internet only sales keeping costs low. This will be my fourth watch from this company. I have mostly autos with a few quartz if I like the style. Cost wise I'm all over the range. $50 to .....well I'm ashamed to say what I've spent on pieces in the past. But no more.... My wallet just can't afford it. I have owned some nicer watches in the past... some with quite high-end movements, but I babied them too much, and didn't wear them enough to justify keeping them. 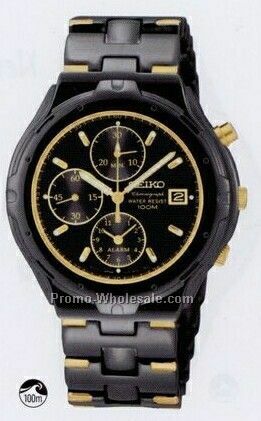 This is the watch I have my eyes on right now. I've got a couple Tissot' watches. One antique, an old Seastar, and one T-Touch that is titanium, including the entire band. The T-Touch offers a ton of cool features including time, temp, compass, barometric pressure, altitude, and a stop watch, all accessed by touching the perimeter of the sapphire crystal. I went through a serious watch acquisition phase for a while there, but it's thankfully stopped. I guess I'm too busy spending money on motorcycle stuff instead. I've got a decent little collection of mechanical watches, both hand-wind and automatic. 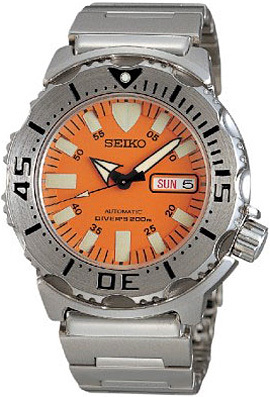 My go-to daily wear watch (and the one I always wear when motorcycle touring due to its toughness and day/date display -- very useful on a two-week tour when I forget what day it is) is a Seiko Diver. The other watch I wear a lot is a Hamilton chronograph. And occasionally a Glycine Incursore. I've also got a couple of Russian watches that get a fair amount of wrist time, including a 24-hour watch that's pretty cool. And a couple of other odds and ends that I never wear. Topping my list of watches I'd like to get eventually is an Omega Seamaster Planet Ocean. Big into watches....you should check out ww.Watchfreeks.com Really cool site and a lot of good information. Last edited by KillBill; 06-14-11 at 09:32 AM. That is niice....what's the case mm? I'm big into watches as well. Mostly the half dozen vintage wrist and pocket watches passed along through my family. I've got a nice Seiko that has been modified and sterilized as my all around beater, as well some quartz dress watches for work that have a nice look. I go for looks and reliability over brand. My favorites are my manual and auto watches and I just received 2 new Steinharts a couple of weeks ago. They are really well built watches. I hate this thread... Makes me wanna go out & spend money. I've got a nice Citizen that I've had since Highschool (it was my graduation gift) but hardly ever wear it cuz the size & shape of my wrist changed a few years ago with the addition of a titanium plate & a few screws... gotta get another link for the band but I'm sure I wouldn't be able to find one that matched the band that's on there. Suppose I could just get a new one, though. I'd really like a nice Panerai, but they're so damn pricey. Could buy a brand new bike or a couple of used ones for that much coin. Last edited by OreoGaborio; 06-14-11 at 10:41 AM. Its 40.1mm. I'm not into really big cases as they dont look right on my hand, but I wont go smaller than 40. The beauty on this watch (IMO) is the thickness of the case - it's 13.2mm and the links are solid as opposed to rolled steel. My cellphone has a clock on it that tells me the time. This handy fact keeps my arm free from being slightly heavier than the other and the hair pulling that ensues whilst wearing a watch. I am definitely a watch observer but short of participating enthusiast. I snoop around watchuseek often. The Stowas, Dornbluth & Sohn, and, of course, IWC Portugeuse, watches have all caught my eye and my appreciation for finely crafted things. But I haven't purchased anything -- yet. Last edited by dhawks; 06-14-11 at 12:34 PM. I'm definitely into watches... I've got a nice collection going everything from G Shocks to high end Automatics. Ball makes a great watch and is a good place to take the next step if you're looking to get into horology. Hamilton is probably one of the best bangs for the buck out there. Which Panerai? There are some good deals to be had on them if you look. I just traded a 104 a few weeks ago for a vintage GMT Pepsi dial. if you're looking to get into horology. Now you've piqued my interest, but I thought this thread was about watches? Love watches..... but can't justify the expense. I did get to rock a high end Breitling for a couple minutes. Also got into the whole G-Shock look awhile back. my latest purchase and I am already in love with it is my Garmin Forerunner 405. 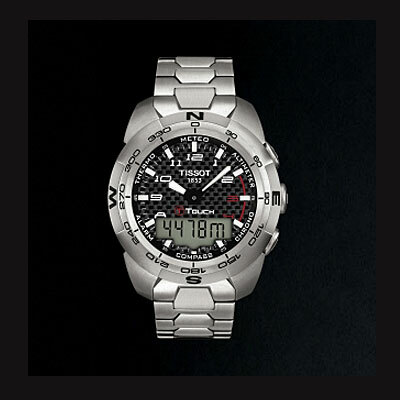 Contrary to popular belief, telling the time is the least of the many reasons to own a watch.